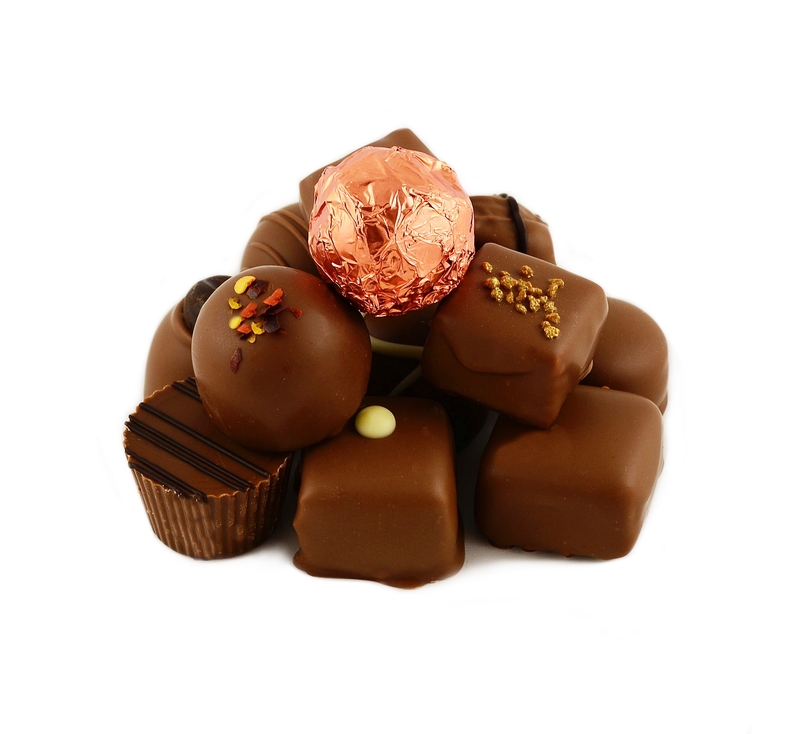 A selection of the finest quality handmade milk chocolates, truffles, pralines and creams. This stunning box is part of our Truly Scrumptious Collection. 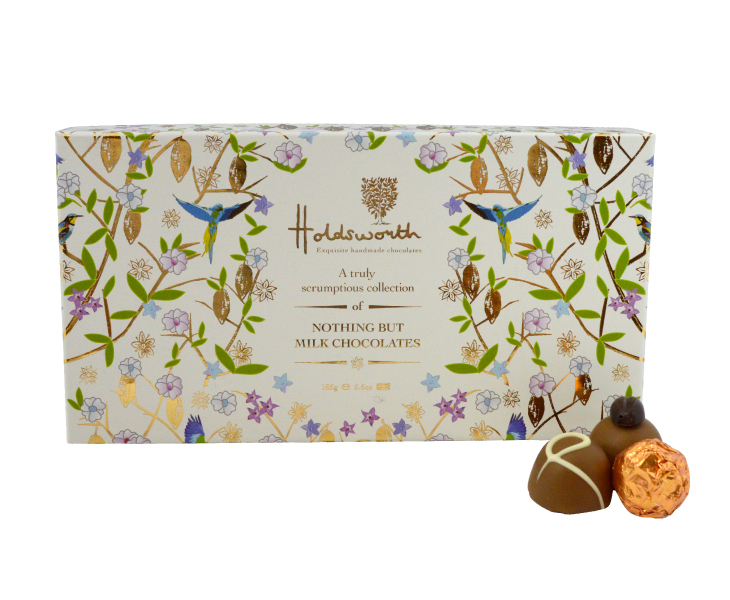 Full of delights for everyone – A rich Chocolate Fudge, a decadent Brandy Cherry Marzipan, and many more. A unique chocolate gift that’s sure to delight. 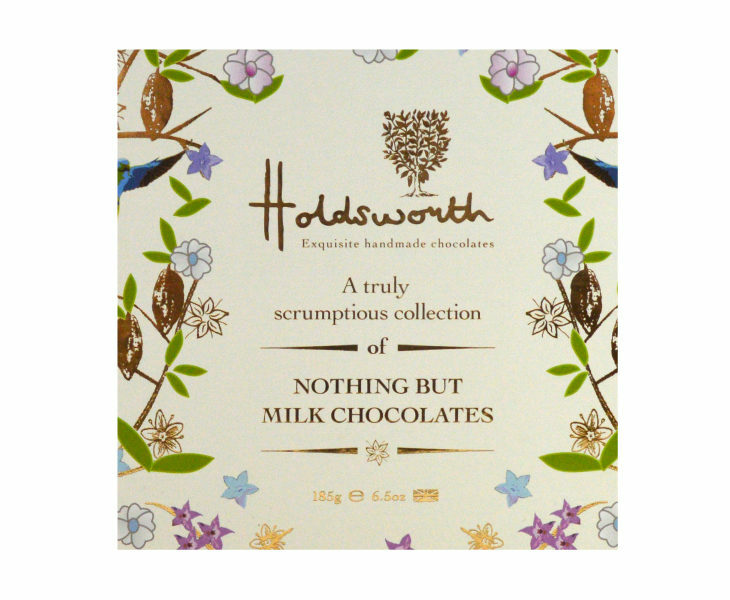 If you are a Dark chocolate lover we offer a 110g Dark Assortment – Click to view. Ingredients: Milk Chocolate 65% (Sugar, Cocoa Butter, Whole Milk Powder, Cocoa Mass, Emulsifier: Soya Lecithin, Natural Vanilla), Butter (Milk), Dark Chocolate (Cocoa Mass, Sugar, Cocoa Butter, Emulsifier: Soya Lecithin, Natural Vanilla), White Chocolate (Sugar, Cocoa Butter, Whole Milk powder, Emulsifier: Soya Lecithin, Natural Vanilla), Fondant (Sugar, Glucose (Wheat), Water, Preservative: Sulphur Dioxide), Caramel (Glucose Syrup, Sweetened Condensed Skimmed Milk, Sugar, Water, Cocoa Butter, Modified Starch, Thickener: Agar, Flavours, Emulsifier: E471-Sunflower Lecithin, Salt, Acidity Regulator: Citric Acid, Preservative: Potassium Sorbate), Marzipan (Sugar, Almonds, Glucose Syrup, Invert Sugar Syrup, Humectant: Sorbitol Syrup, Preservative: Potassium Sorbate), Hazelnuts, Praline Paste (Sugar, Hazelnuts, Emulsifier: Soya Lecithin, Natural Vanilla), Fudge (Sugar, Glucose Syrup, Sweetened Condensed Milk, Palm Oil, Butter (Milk), Emulsifier: Soya Lecithin, Flavouring, Salt), Fruit Purees (Glucose Syrup, Invert Sugar Syrup, Strawberries, Beetroot, Raspberry, Orange, & Apple Juice Concentrate, Natural Flavourings, Ethanol, Acidifier: Citric Acid, Colouring Plant Concentrates: Carrot, Pumpkin), Alcohol (Marc de Champagne, Neutral Spirit, Crème de Cacao, Rum, Amaretto, Brandy), Toffee (Glucose Syrup (Wheat), Sugar, Sweetened Condensed Milk (Milk, Sugar), Vegetable Oil (Palm Oil), Butter, Salt, Molasses, Emulsifier: E471, Flavourings), Dried Red Chilli Flakes, Glacé Cherries (Broken Cherries, Sucrose, Acidity Regulator: Citric Acid, Preservative: Potassium Sorbate, Sulphur Dioxide, Colouring: Erythrosine), Flavourings (Strawberry, Orange, Rum, Brandy, Almond, Raspberry, Apple, Lemon, Coffee (Propylene Glycol), Rum Essence (Water, Flavourings, Thickening Agent: Xanthan Gum, Caramel Sugar Syrup, Citric Acid, Preservative: Potassium Sorbate, Ascorbic Acid), Popping Candy (Sugar, Cocoa Butter, Lactose, Skimmed Milk Powder, Cocoa Paste, Glucose (Corn), Anhydrous Butter, Emulsifier: Soya Lecithin, Vanilla, Flavourings, Preservative: Carbon Dioxide), Coffee Granules, Colourings (Beetroot, Titanium Dioxide, Iron Oxide), Citric Acid, Salt. 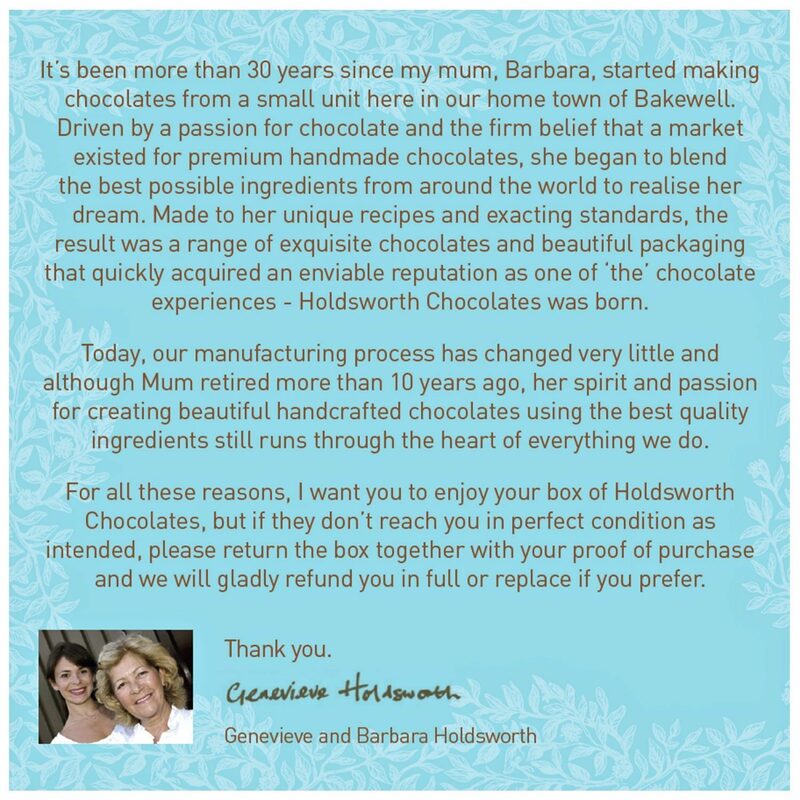 Totally gorgeous chocolates, beautifully packaged. My family were allowed to admire the box but not share the contents! Fabulous chocolates that I was given as a Christmas present. Would highly recommend. Your wonderful chocolates have now replaced our Leonidas orders from Brussels! 30 years late but never too late. Found them in John Lewis. Such flavours. Exquisite and to be savoured slowly. Any chance of eliminating palm oil? No such thing as sustainable. I adore a beautifully packaged box of well made chocolates and these are now my official favourites. I treat myself to a box every now and again. They really are gorgeous.